Glacier walks with experienced guides are arranged daily on several outlet glaciers of Jostedalsbreen, from May to October. In Fjærland you can walk to Flatbreen, 1000 metres above sea level. 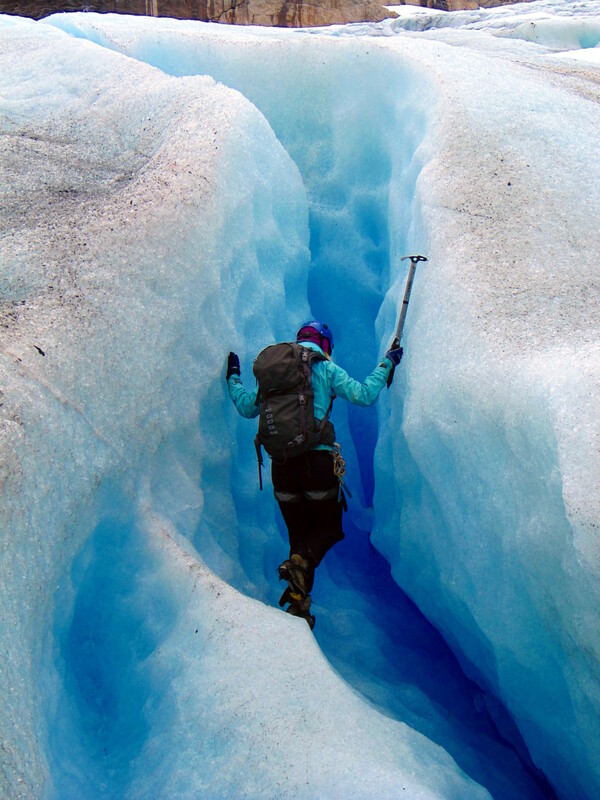 This is a demanding hike for 2-4 hours, before you can enter the glacier. Here, you find the Flatbrehytta cabin and you can experience a beautiful view towards Fjærland and the Fjærlandsfjord. Easier glacier walks you can find, for instance, on Haugabreen (in Jølster) and Nigardsbreen (in Jostedalen). Fjaerland Guiding offer guided hikes on mountain and glacier. By clicking on 'Glacier walks' below, you will get an overview of several glacier walk possibilities in the Sognefjord region. The map is updated annually. You can also contact the tourist informations, the Norwegian Glacier Museum (Fjærland), Breheimsenteret (Jostedalen) or Jostedalsbreen National Park Centre (Stryn).